The licensing of Nevron Data Visualization report items for SQL Server Reporting Services is based on a per report designer/developer using the Software for report development and per production report server deployment. Each developer who desires to use the Software must hold a valid Designer License. If you need to license more than one report server machines, you need an additional license. What is Designer and Server License? Designer License - required for developing reports with the Nevron custom report items. To obtain the Designer (Developer) License(s) for your product, you need to provide Nevron Customer Service with the appropriate Machine Id(s) for the machine(s) using Nevron Vision for SSRS with Business Intelligence Development Studio (BIDS), or SQL Server Data Tools (SSDT) for report development purposes. Server License - required for production report server deployment. 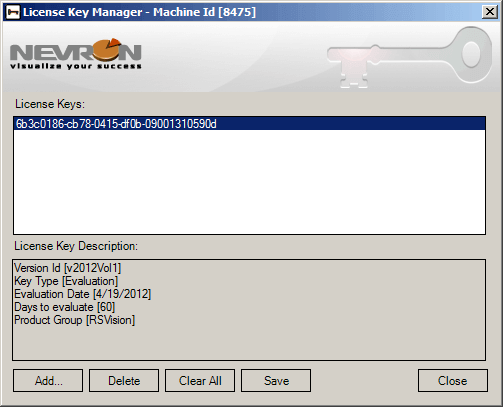 To obtain the Server License(s) for your product, you need to provide Nevron Customer Service with the appropriate Machine Id(s) for the Production Report Server machine(s) which is running Reporting Services and is used for generating reports with the Nevron Vision for SSRS custom report items. Nevron SQL Server Reporting Services report items licenses are perpetual, which means that the license key you are provided with your purchase will forever unlock the specific version from your order. If you would like to have the ability to upgrade to newer versions you can either add subscription to your initial purchase or contact sales@nevron.com requesting update quotation. As mentioned in the above question, when you purchase Nevron Data Visualization for SSRS you are entitled to forever work with the edition you have purchased (for example 2014.2 or 2015.1). The Subscription gives you access to all minor and major version releases within one year after purchase, priority support (plus 5 additional support tickets with your purchase) and the right to continue your subscription after it expires. The upgrade can cost anything between 50% and 100% of the list price of the product. You need to contact sales@nevron.com and request a quotation.